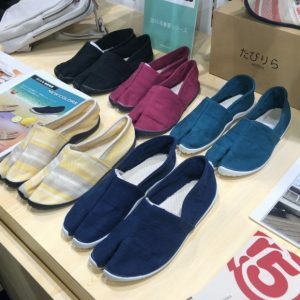 Do you have heard of TABI SHOES? 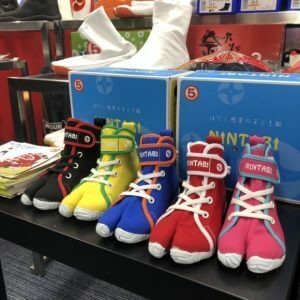 TABI SHOES with unique design, which separates the big toe and the rest of the four toes, has been often known as NINJA SHOES. 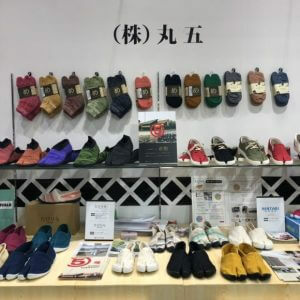 This time, I went to the exhibition of MARUGO, the Japanese TABI SHOES maker, which marks its 100th anniversary this year. I'd like to introduce you to some of MARUGO's TABI SHOES with their own high safety and fashionable design. MARUGO was founded 100 years ago in 1919. 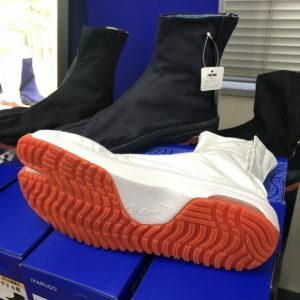 Since its inception, the business has been going on for more than 100 years with the aim of "protecting the ankles of working people," starting with JIKA-TABI, the main manufacturing item, and now in 2019, they are offering various shoes, boots and work gloves, including safety sneakers. 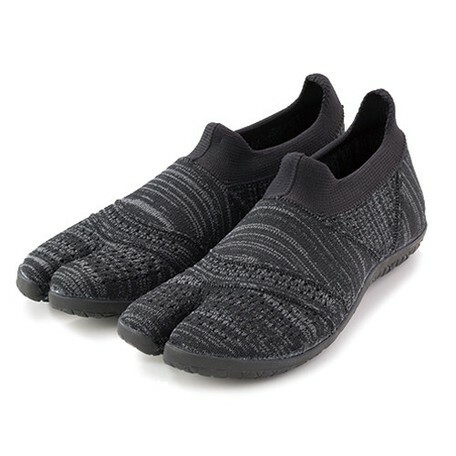 TABI SHOES, which is popular overseas as NINJA SHOES, are a shoe designed to be worn outdoors with rubber on a traditional Japanese birch, also called JIKA-TABI in Japan. Because of the separation of the big toe and the other four toes, it is easy to apply force to your feet when you take TABI SHOES. 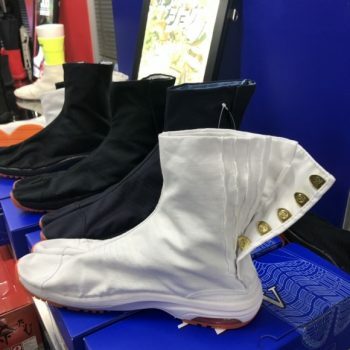 Also, it is said that the pressure from the back of the shoe would lessen so it does not affect the original shape or movement of the foot because it allows a wider space on the toe side. It's an integral form of footwork that improves the quality of outdoor work and performances (such as dancing and festival performance). Then, let's take a look at how to wear TABI SHOES. What kind of socks do we wear when we wear TABI SHOES? 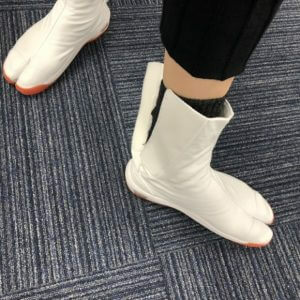 Actually, there are some special pair of socks for TABI SHOES. Or you just can wear TABI SHOES as barefoot without socks. Put your feet in the TABI SHOES, grab the top of the shoe and slide it in until you can feel the underside of TABI SHOES with your toes. Take a proper posture and pull the top part of the TABI SHOES to match the thickness of the foot. The angle of the heel of the foot is about 90 degrees. *It's more comfortable to wear the shoes sitting on a chair. Fasten the clasps from the bottom. Put the clasps into the pocket face near the size of your feet. Try walking and make sure if the clasps are fastened enough. If there is a loose part, fasten the shoes tighter. It's quite a complicated explanation, but it's surprisingly simple and convenient to wear. Then this time, let me introduce you to TABI SHOES of MARUGO! JIKA-TABI is commonly worn by workers. Through JIKA-TABI, the workers were able to conveniently check what was under their feet. 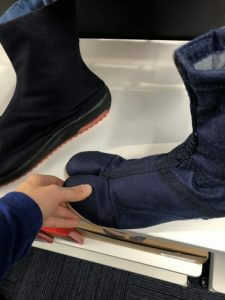 It also separates the big toe and the other four toes and holds the tool between the crack on the shoe. Thanks to JIKA-TABI, the workers were able to use their feet like hands. Here, I would like to introduce some special JIKA-TABIs with a stiff exterior of MARUGO. You can see that my finger is turning white by strengthening it, but you can see the JIKA-TABI doesn't budge, right? Even though it's a work shoe, you will not miss a fashionable appearance and safety. You can rest assured even though being caught the feet by something or falling something heavy on your feet if you are wearing JIKA-TABI! Shock absorbers, also commonly known as air, are built into the heel, reducing the impact burden on the heel or on the foot. Thanks to the MARUGO's own special pattern on the sole, it is safe to work outdoors on easy-to-slip roads. 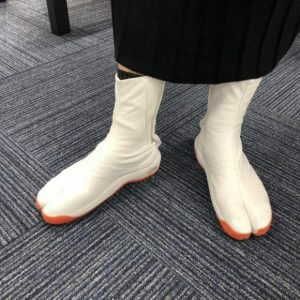 There is a type of JIKA-TABI that doesn't have toe cap, and it is called MATSURI-TABI. 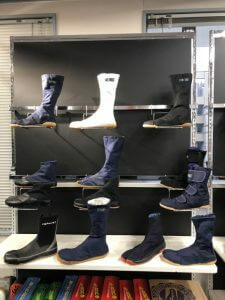 With MATSURI-TABI, known as the shoes worn in Matsuri(祭り, Japanese festival), it is easy to move thanks to its shape, and is suitable for dance and performance during Matsuri. Especially, because most of Matsuri is a summer event, the asphalt floor heats up very hot. 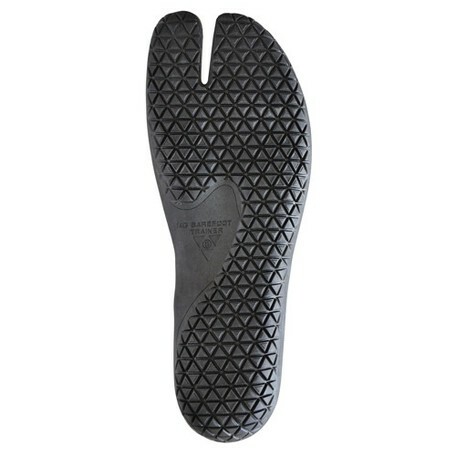 When the rubber on the MATSURI-TABI's sole protects the feet from heat on the asphalt. 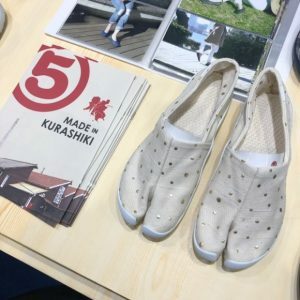 Therefore, MATSURI-TABI is also safe but pretty functional fashion shoes. There are three colors: black, navy, and white. They range in size is from 225mm to 300mm. For men and women, you can enjoy it regardless of gender. You can customize the MATSURI-TABI to fit into your foot with this gold clasps. 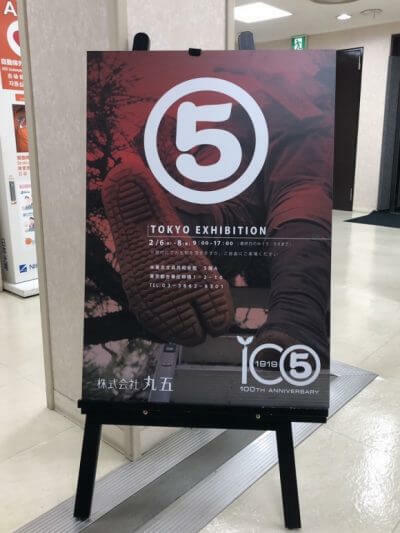 *The model of MATSURI-TABI above is a brand new product called "AIR JOG V(air jog five)" that was introduced in this exhibition for the first time, so please kindly wait for its releases! I've tried MATSURI-TABI, and it was easy to fasten it because it was made of velcro, not clasps. I had a hard time wearing it (because I wore winter socks), but when I wore it, I really felt like I was wearing two layers of socks, not shoes. Do you know that running barefoot is good for growing children's feet? If children walk barefoot, it stimulates the five senses and also helps them form the middle of their feet. However, there are possibility of external wounds, hygiene problems, and even cold weather, so it is difficult to let them walk on bare feet. 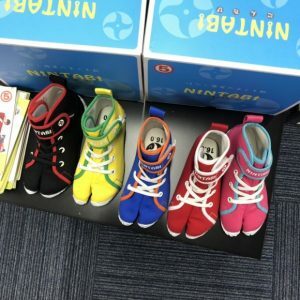 In order to walk barefoot, MARUGO introduces NINTABI, a children's TABI SHOES. 3) Design of TABI-SHOES where the toes can move freely. 7) The soles that gives the feeling of stepping on the ground with bare feet. The original toes have different functions, so each toe's movement are completely different. Ordinary shoes can't fit every single movement of each toe, so sometimes the shoes interfere with the original function of the feet. 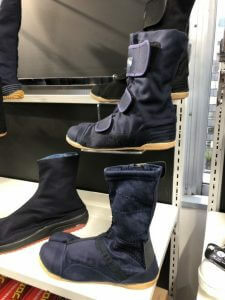 HITOE is a training shoe developed with a special attention to the unique movement that improves the strength of the toes and soles of the feet. The toes are split, allowing for free movement, especially the original toe movement, like any other TABI SHOES. It also improves balance during exercise by training muscles that are not normally used, and can be expected to improve blood circulation or relax by massage the soles of your feet. Former Japanese national soccer player Yutaro Nagai is usually training in this HITOE, and you can also check his video. Here, I introduce you to tabiRira, which you can wear comfortably in everyday life. Outside, you can feel like you're walking on your bare feet. Just by taking it, you can give your toes plenty of rest. The usual foot irritation that the shoes give our feet is also reduced, which helps us to keep our feet healthy, as well. It would be a good choice for those who are worried about pain in their feet or edema. It's simple and pretty, so you can wear it to go to work. 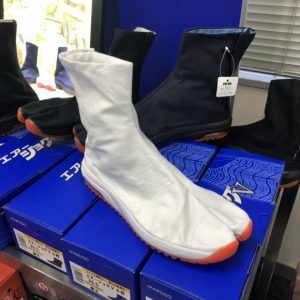 I think it'll be good for indoor shoes at work. 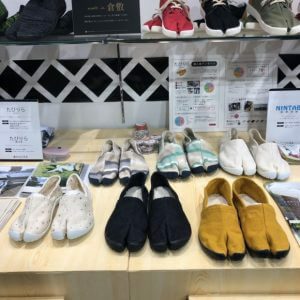 MARUGO has introduced 2019 S/S products in 2019 Tokyo Gift Show. 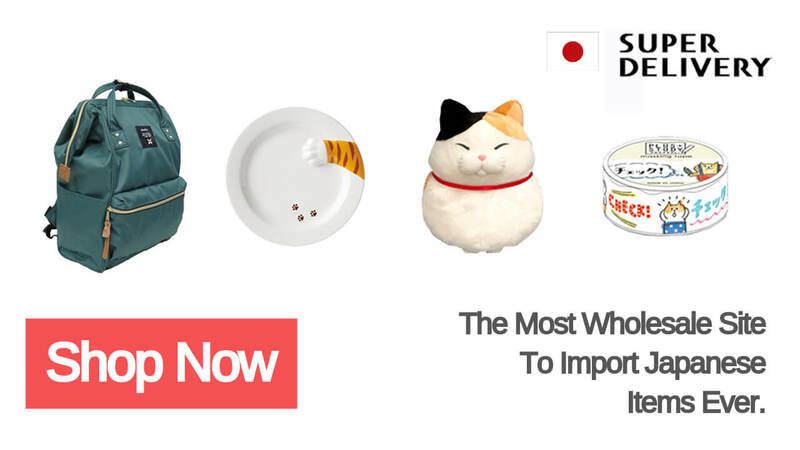 Please do not miss check the brand new items, too! 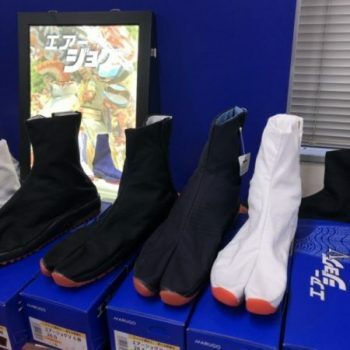 Why don't you prepare this spring and summer with TABI SHOES, Japanese NINJA SHOES? Check out more TABI SHOES and more MARUGO's products in SUPER DELIVERY!